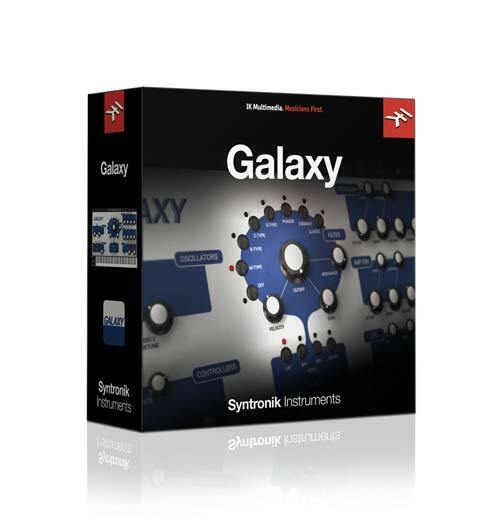 Syntronik’s Galaxy synth offers the authenticity and flexibility of the Alesis Andromeda. Manufactured from 2000-2010, the Andromeda is a 16-voice analog polysynth with 2 oscillators per voice, each with suboscillators, multiple waveform selection and pulse width modulation of the square wave. The voices can be stacked using the Unison mode in the spirit of the Oberheim OB-series, Sequential Circuits Prophet-5 and Roland Jupiters. But the Andromeda’s standout feature is its two filters: a 2-pole state variable filter resembling the Oberheim SEM and a 4-pole transistor ladder low pass filter resembling the Moog 904a module. The Andromeda uses custom oscillator and filter IC chips designed by Alesis founder, Keith Barr. 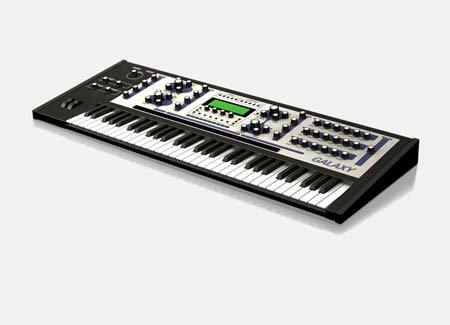 Extensive modulation routing is available which makes the Andromeda perhaps the most flexible and versatile analog polysynth created to date. It was used by some great names such as Nine Inch Nails, DJ Tiesto, Klaus Schulze, Yes and the Pet Shop Boys.